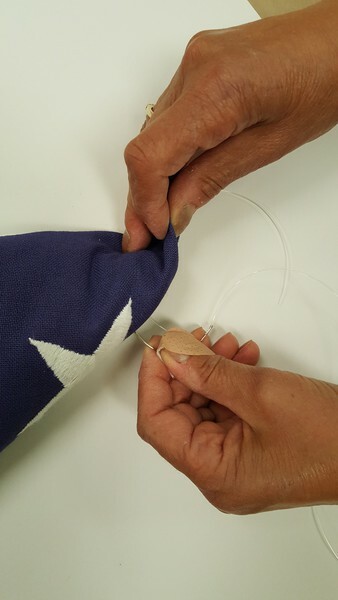 Clients have asked us about the process of framing a folded American Flag. There is a lot more to it than you might expect. 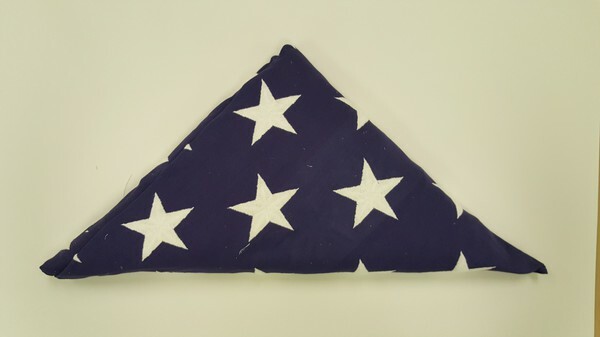 Starting with a folded flag, the first step is to sew the flag onto a piece of acid free foam board. 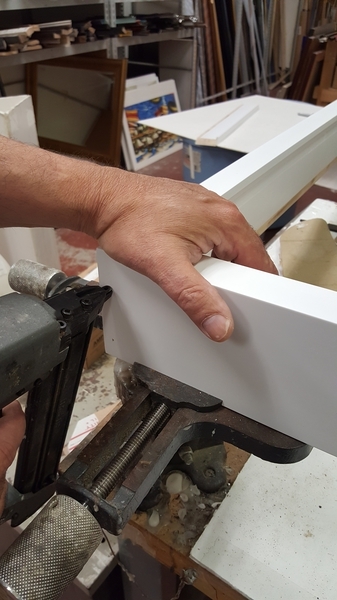 While this is being done, the frame can be built, assembling the 4 corners and allowing each to completely dry for stability. 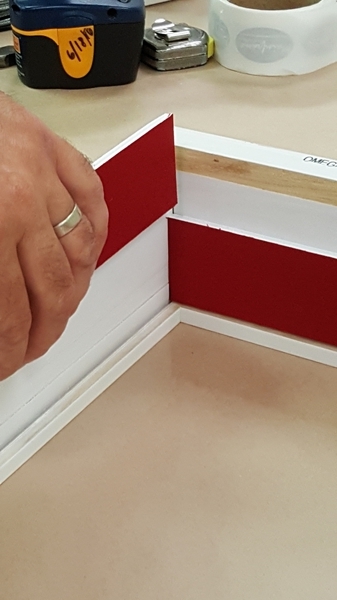 The next step is to add the glass to the completed frame, then to attach a colored build-up along the walls of the shadow box that match the mat color chosen. 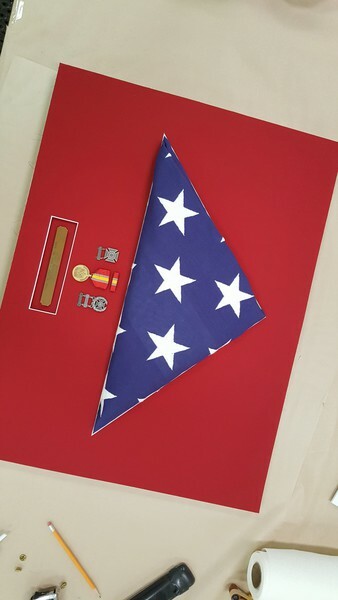 A mat is cut to exactly fit the triangle of the flag and to accommodate any other plaques, photos or other memorabilia that the client would like included in the finished piece. 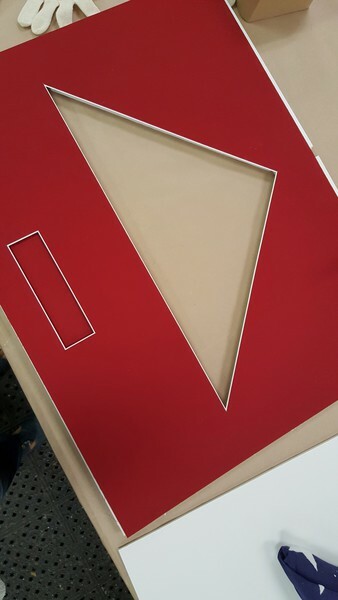 Finally the pieces are assembled. Click through photos below to see the process.